Niche > Remortgaging Advice > When is a secured loan better than a remortgage? When is a secured loan better than a remortgage? Secured loans are loans where a legal charge is placed over an asset, most often your home in order to protect the lender if you don’t pay the monthly payment. They are added to a first charge (a mortgage) and are often called second charges. But you can get third, fourth and more charges. Some lenders will also call them a ‘further advance’ if you already have your mortgage with them. Secured loans tend to have a higher interest rate than a mortgage because the first charge lender gets to recoup their losses first if there is ever a repossession of the property. And if there’s nothing left after this, the second charge lender doesn’t get their money. Why take a secured loan? While it often seems like a secured loan is a poorer option than a mortgage, there are situations where it is an option to consider. Here are a few situations. If you have a mortgage with a brilliant interest rate, then it is often worth leaving it alone and taking a secured loan to raise extra funds. There are mortgages, often older ones, with interest rates below 1% and if these don’t change, then they are worth keeping, regardless. In this situation, the secured loan can be the best way to raise more money. Remortgaging takes quite a bit of time and if you need to access some cash quickly, then a secured loan can be quicker. If the loan to value ratio is low and a valuation of the property isn’t needed, it can take a matter of days. Mortgages usually take much longer. If you are struggling to prove your income, such as having gone self-employed in the last year, some mortgage companies won’t consider you. But secured loan companies tend to be a little more flexible so this might be the best option. The same also applies if you know you are earning less and won’t qualify for the mortgage you want. Interest only borrowing can be useful in some situations although there are always considerations – such as the loan amount still needs to be paid at the end of the term. But if you can’t qualify for the mortgage you want, this could be an option. Mortgages usually stop at around 80-90% loan to value ratio but if you need to go higher, up to the maximum 95% then a secured loan might be the best option. You will still need to match their acceptance criteria for this. If you have things like CCJs on your record, getting a mortgage or a remortgage can be tricky but a secured loan lender is often a little more lenient and may consider you. While not as good as a mortgage in terms and interest rates, a secured loan can be a consideration in these and a few other situations. 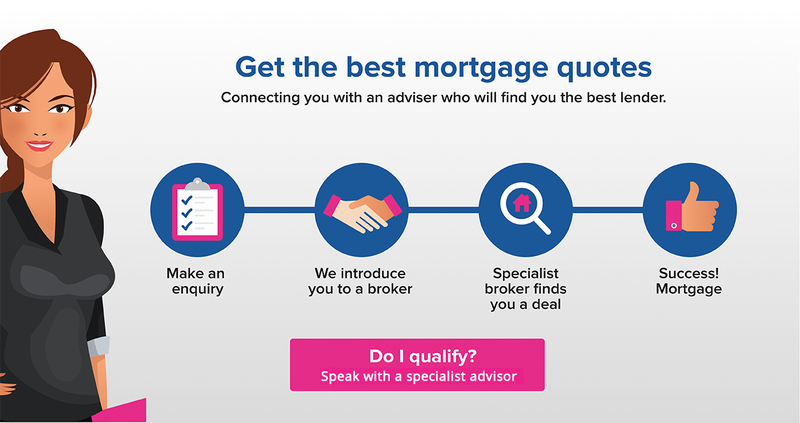 Work with a mortgage broker who offers these to find out if it would work best for you.